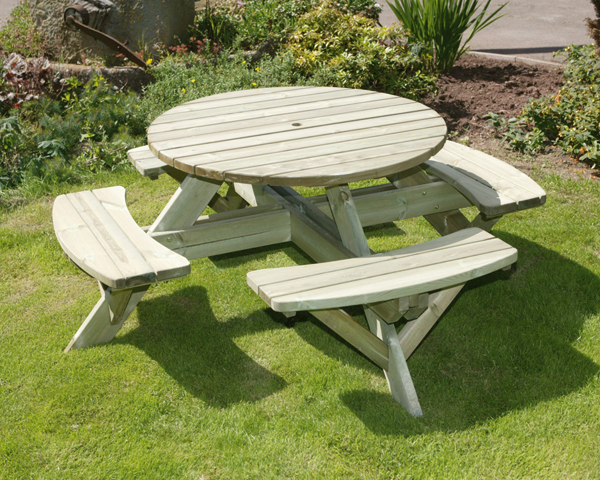 A circular picnic style bench, great for family social life and special occasions. Measures a Height of 750mm, Width of 1800mm, Depth of 1800mm, Table Top 1100mm Diameter. Made from pressure treated timber from well managed and sustainable forests.